Art and gardening inspire each other to superlative effect in the botanical pursuits of two local artists. In Don and Inge Sinclair’s light-filled Mulmur house, a painting of a single rose dominates one wall of the living room. Rendered in hot pinks and yellows, the rose was the first flower Don had painted in his long career as an artist. In fact, he didn’t come to flowers until after his retirement seven years ago from the graphic design depart­ment of the Ontario College of Art and Design. Once he did, he discovered a grand passion. With retirement, Don was at last able to join Inge in the more leisurely pleasures of the garden the two of them had begun when they first bought their property in 1977. He was, as it were, finally able ‘to stop and smell the roses,’ and he was soon itching to transfer the experience to canvas. It wasn’t that Don hadn’t been involved with the garden. He modestly describes himself as “head pruner and mover of heavy rocks,” but that hardly does justice to his influence. His acute design sense is everywhere evident in the garden’s elegant topiary accents and harmonious architectural structure. Still, it was Inge who had the intimate day-to-day relationship with individual plants, who selected and planted most of the flowers, nurtured them along and knew them by name. Although at times he has been more attracted to abstract work, Don says with his flower paintings he is rigorously true to his subject. However, he notes that the large format tends to imbue an abstract quality into the otherwise realistic renderings. On Mulmur’s Centre Road, then a barely negotia­ble sea of mud and ruts, they found ten acres of mostly raw grazing field that contained two extraordinary features: a steep, south-facing slope that overlooked a two-acre, creek-fed pond. The garden began to take form even before their new house had fully nestled into the hillside. 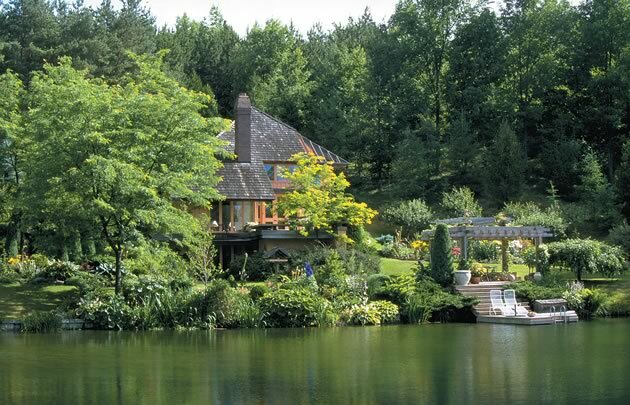 Within a year or two, the compact, west coast-influ­enced house was complete, but the garden continued to flow outward, to the edge of the pond and beyond. 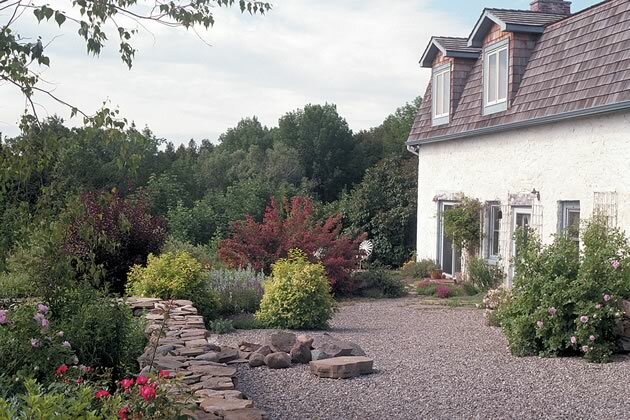 Now, 25 years later, it forms a serene oasis within the rugged Mulmur landscape. 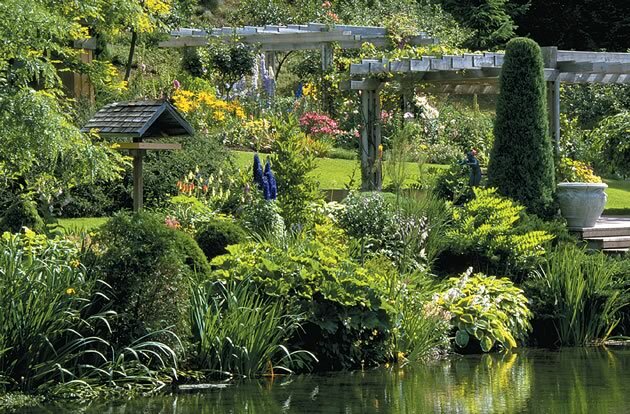 Through the years, the hillside trees have matured, two matched pergolas have been added, along with two formal water gardens at the edge of the pond, and charming steps and pathways link the main garden areas. The many strategically placed topiary bushes – pyramidal cedars and weeping nootkas – along with the handsome garden structures, urns and statuary provide a beguiling and orderly harmony through­­out the garden even through the bleak days of late fall and the snows of winter. In spring and summer, though, order obligingly recedes into second place. From the first flood of spring crocuses and daffodils that cover the hillside and pond bank, the flowers jostle with each other in a riotous carnival of colour – peonies, lilies, delphiniums, roses and a host of others – each takes its star turn then gives way to the next. Amid the splendid display, however, the garden’s undisputed prima donnas are the foxgloves (Digitalis). By mid-June scores of four-to-six foot spires sway elegantly above every one of the flowerbeds. Through every shade of apricot and pink to pure white and deep purple, there is no predicting the colour of the bell-shaped blooms with their charming, speckled throats. “Some people don’t like the purple ones. They cut them out, but I think that’s a little bit of garden bigotry,” says Inge. “We let them all run rampant,” she adds, though that belies the care she has put into nurturing this sometimes difficult biennial. Although the plants seed themselves freely in the hospitable environment, Inge also maintains a nursery in a secure corner where first-year plants can flourish without competition before they are transplanted the second year to flower in the main gardens. And she endures the untidy stalks well after the bloom is gone to ensure the seeds set full and ripe. 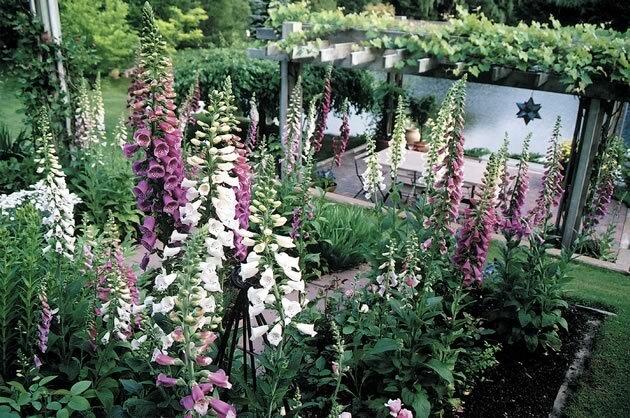 The startling display of foxgloves, though, is perhaps just the showiest moment in a garden that overall exudes a lush maturity and robust health more reminiscent of the temperate growing conditions of Victoria, B.C. or southern England than it is of the less receptive Zone 4 climate of the Headwaters region. 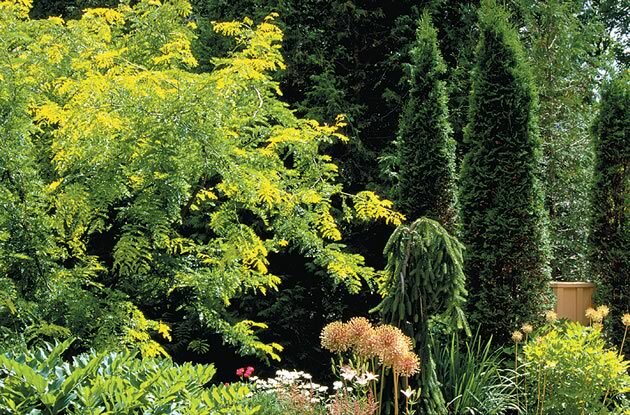 Inge modestly attributes much of the garden’s success to its sheltered southern exposure. “I consider that we’re at least in Zone 5,” she says. The rhododendrons that line the pathway to the house and the wisteria that blooms profusely over the garage seem to agree. But it’s clear that 25 years of loving attention has played no small role. Do they garden everyday? “Oh, no,” says Inge. 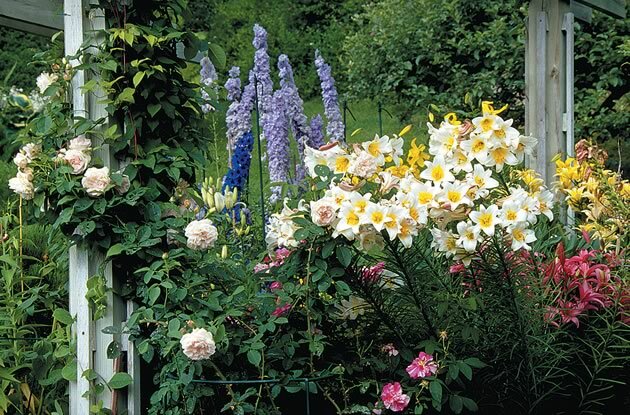 “Well…yes,” says Don, acknowledging that it is impossible to stroll through the garden without indulging in at least a little primping and pruning. And their vacations, once taken in the summer, are now relegated to November so as not to miss one pleasurable moment in the garden. “People always say what a lot of work it all must be, and I don’t know what they’re talking about,” says Don. Matching pergolas create an orderly flow between house and pond, where a regal Juniper Medora anchors to the pond’s edge, lush with Beardless Iris (Iris pseudacorus), the huge leaves of umbrella plant (Darmera peltata), hosta “Frances Williams,’ and Solomon’s seal (Polygonatum x Hybridum). Photos by Brock May. From the front, Jane Fellowes’ and Malcolm Batty’s whitewashed field­stone house, sheltered from the prevailing west wind by a huge bank of wild old lilacs, is the quintessential Ontario farmhouse. Around the back, though, is another world – or at least the delicious flavour of another continent. Here, the whitewashed walls reflect the heat of the morning sun. 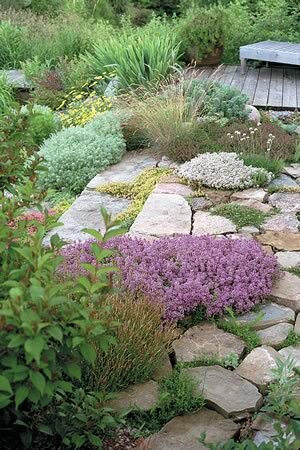 Gravel and stone walkways absorb and radiate warmth. And the landscape opens up to lavish views that reach for miles across the eastern hills of Adjala. Between the near walls and the hazy vistas, the tumbled colours of a large patio garden are sharpened into almost unnatural brilliance. The merest squint offers ready transport to the coastal hillsides of the Mediterranean, or even – squint slightly harder – the Caribbean. The exotic influence is not surprising; together or independently, Jane and Malcolm have spent extended periods in the sun-drenched climates of India, Cuba, Cyprus, interior Mexico and the Baja, as well as the misty mountains of Nepal. 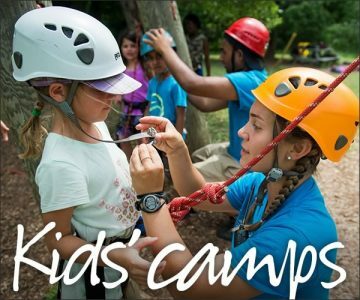 Malcolm spent his childhood amid the verdant abundance of the British countryside, Jane in more prosaic Don Mills on the outskirts of Toronto, though at a time when the neighbour­ing woods and farm fields were still a haven for young expeditioners. Jane’s early attachment to the natural world was reinforced each summer when, with her mother and sister, she decamped from suburbia for two golden months of freedom on a small, wild island in Georgian Bay. Neither Jane, an artist, nor Malcolm, a photographer, pursued formal art studies, but neither has ever strayed far from artistic pursuits. Most recently, they ran a small store called Tequila Cove in Mono Centre. For six years, open on weekends only, the store provided a showroom for the furniture they designed and built, as well as for the eclectic mix of interior and garden design services they offered to a small and loyal clientele. While they continue to offer design services, Malcolm is currently absorbed with a book of his photographs, to be published this fall, that documents Cuban culture – in particular the aging musicians, poets, dancers and authors of the country’s passing revolutionary era. For her part, Jane is increasingly turning her attention to developing the botanical painting that until now had played a secondary role at the decorative edges of much of her interior design work. The scale of Jane’s paintings has increased with their overdue move to centre stage. 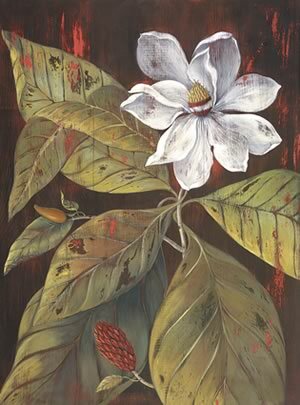 On large boards, her plants and flowers blend the heightened attention to detail that characterized traditional nineteenth-century botani­cal drawings with an appealingly flattened, almost primitive perspective. Nevertheless, her paintings project an astonishing depth and texture, achieved in part through the application of layers of paint, each gently rubbed along the grain of the wood to reveal flashes and echoes of the colour beneath. The overall effect is to enhance an objective image with an aura of mystery and discovery. That same sensibility is evident in Jane’s and Malcolm’s garden. Relatively small and simple by some country garden standards, it is designed to maximize the sense of secrecy and surprise. Though it probably stretches the analogy, the garden, like Jane’s paintings, is also constructed on a series of underlying layers. When Jane and Malcolm first took over the property, the grounds were derelict, an overgrown thicket of weeds and twitch grass pushed against the house and scrubby vines climbed across the doors and windows. They brought in a bulldozer to flatten a 30 by 40-foot area behind the house, though the bulldozing was no match for the weeds which re-established themselves within days. However, Jane and Malcolm next covered over the entire area with black landscape material, and covered that with a two-inch layer of gravel, hauled by wheelbarrow and raked smooth by hand. The raw gravel may have looked inhospitable to plant life, but it proved a perfect growing environment. The weed seedlings and roots rotted beneath it into a rich layer of compost. The black fabric held the heat and retained the moisture in the soil. The gravel stored the warmth of the day long after the evening shadows had crept across it. 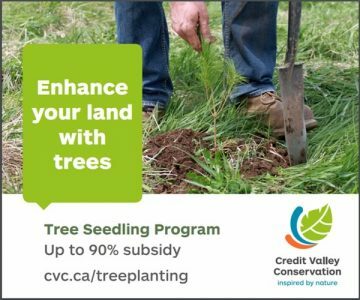 To plant, Jane and Malcolm dug holes through the layer of gravel, sliced through the landscape fabric, and tucked the plants’ roots into their new, rich, moist and warm home. The success of the experiment was abundantly evident in the flourishing garden before the close of the first season. 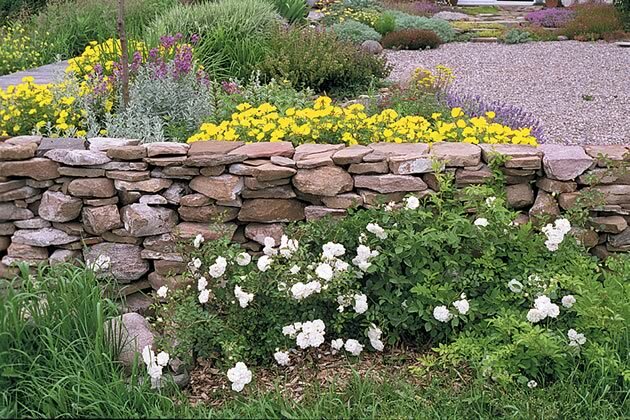 Since then, Malcolm has enclosed the east and north side of the garden with a two-foot-high, dry stone wall, using stones from an old barn foundation on the property and the technique he learned as a boy building stone walls for his grandfather in Wales. Rugosa roses now tumble across the top of the wall. The steep slope that angles abruptly into the wild thickets to the south of the house is demarcated from the garden by a 20-foot wooden ha-ha, a narrow walkway that Malcolm built with reclaimed decking. 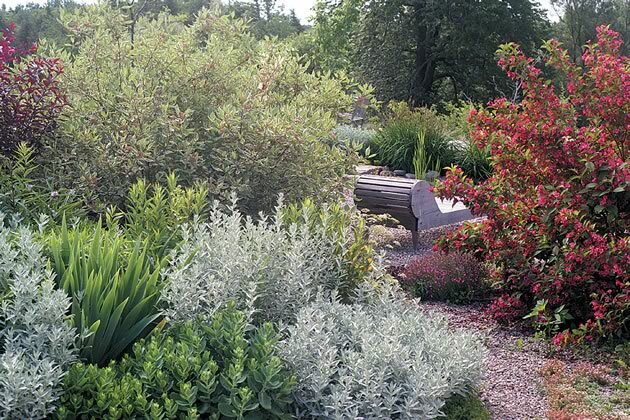 An irregular centre island, dominated by a variegated dogwood (Cornus alba elegantissima) and red-leafed Weigela (‘Bristol Ruby’), has grown up to divide the garden into appealing rooms and corridors. 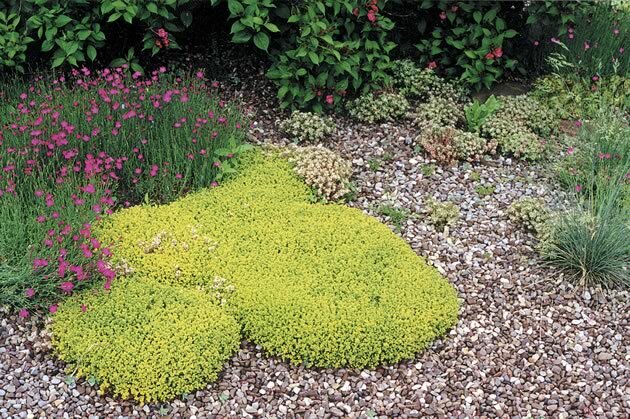 Mosses, thymes, sedums and pinks (Dianthus) form a pleasing mat of colour and texture over the patio rocks and gravel. 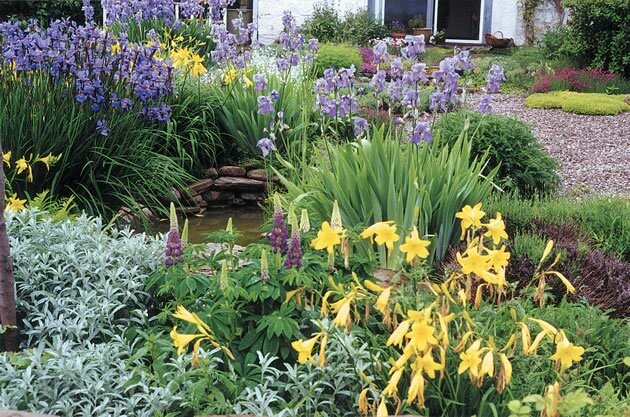 At one corner of the wall, water burbles serenely among the rocks of a small, lined pool that is surrounded each spring by a choir of irises whose fat corms bask happily on the warm bed of gravel. Clematis and honeysuckle cheerfully climb the trellises against the wall. Beyond the stone enclosure, a clutch of small, wild plum trees have rooted themselves from a single seedling. Rigorously pruned each year, they annually bear an abundance of fruit that Jane quickly turns into plum jam. 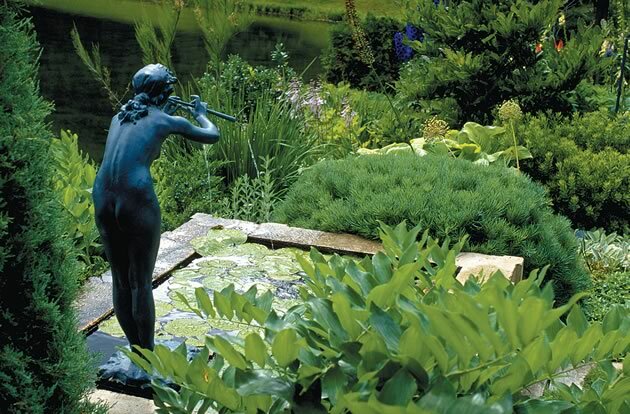 Unlike Don Sinclair who happily acknowledges all his “models are in the garden,” Jane says the artistic inspiration she draws from her garden is more figurative than literal. 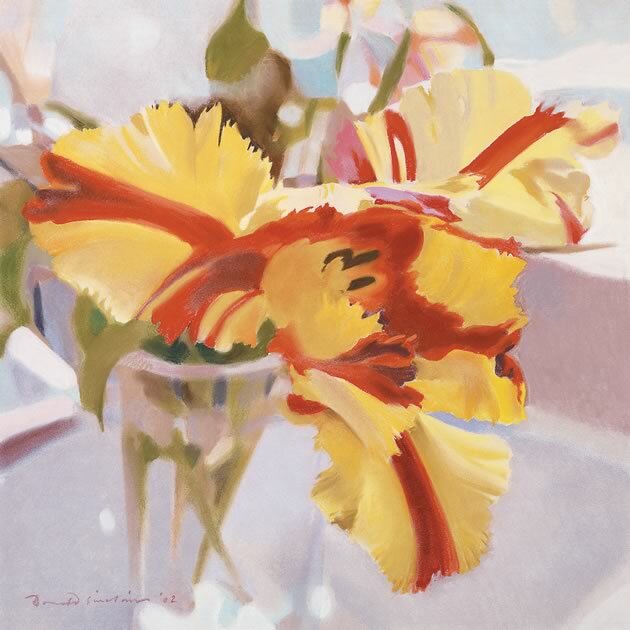 “I don’t look at a tulip and say, what a pretty flower, I must paint it. It’s not that direct.” Although her botanical paintings are true to nature, the flowers she paints are not necessarily the ones from her garden, but the ones that grow overnight in her dreams. Jane plans to mount the first exhibition of her paintings in late summer or early fall. A long wooden ha-ha divides the garden from the wilds beyond. 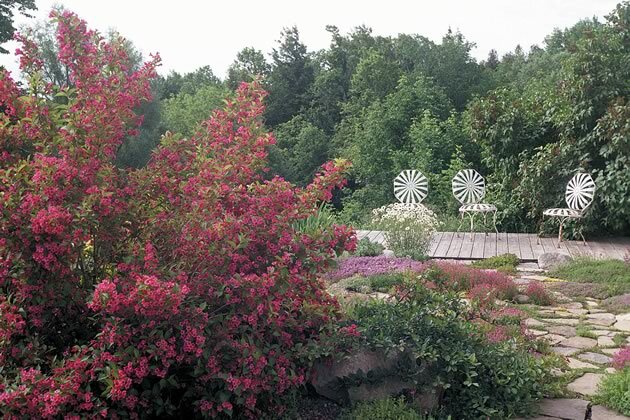 A large Weigela ‘Bristol Ruby,’ and Japanese quince (Chaenomeles Japonica) dominate the centre island, surrounded by a sea of creeping thymes, dianthus (including ‘Frosty Fire’ and ‘Blue Hills’), sedum (including ‘Dragon’s Blood’ and ‘Vera Jameson’) and saxifraga. Photos by Malcolm Batty. Signe Ball is publisher/editor of In The Hills.